I love writing posts that go beyond my First Impressions articles because initial thoughts change. I've started my fair share of dramas, loving a few, dropping many, and also being undecided since some shows surprise you with good content on the rare or there's an aspect about them that keeps you coming back, you know, like an unhealthy relationship you can't seem to break off. That's why I thought, why not do a post for some transparency? So readers can get an idea of what I'm actually watching since there might be a misunderstanding out there that I watch everything I review and love them (not that people would really care for my personal K-drama list). I've been victim to a good premiere but run the other way when a drama clearly begins to tank or loses my interest. I'll be covering a few shows I'm currently obsessed with, having nothing but praise for them, ones I wish I could have seen heading towards doom, and ones I gave up on because of mixed feelings. They're all shows from this year, fairly recent, and ones I have written First Impressions on, so you'll get a good idea about how stark my present opinions are or if they've changed at all. Possibly my favourite drama to have been released this year, I have nothing but good things to say about this gem of a show. The combined effort between the Writer and Director to bring a webtoon to life is noteworthy while our lead actors have incredible chemistry; had it been anyone else but Park Seo-Joon and Park Min-Young, I would be cringing in a corner. And don't be fooled, as light as it is with its romance and comedy, it does have darker components to its story without any antagonist ever being presented. It's simply a feel good show and one of the best Korean Rom-Coms I've ever seen. What a terrifically underrated remake! The drama's production and portrayal of someone in comatose, in a dream-like state are by far my favourite things but there are so many elements that make this drama a great watch. It has a mature feeling to it with plenty of depth and segmented crime stories that add an additional layer to the overall story. Jung Kyung-Ho's acting is remarkable as the introverted and stoic Han Tae-Joo, winning me over with every passing episode. I really hope he wakes up or stays submerged in what will hopefully turn out to be a beautiful dream instead of a nightmare. This drama has gone above and beyond as a humanistic series with stories and characters that tug at your heart strings. The realism conveyed through its Judges is one I won't forget and simply knowing that a real Judge wrote about his or her experiences about what happens within the walls of a courtroom and how it impacts everyone once they walk out, makes it unique and all the more realistic and emotionally compelling. It's a rare legal show that's devoid of thrilling, high-stakes melodrama and grand entertaining matter, stripped down to showcase something raw and factual. It's confession time I guess because I left this drama when it was announced as being pre-empted for two weeks in a row and then MBC decided to only air an episode each week because of FIFA coverage. I hate having to feel scattered with a series and confused in regards to the story (like leaving off in the middle of a good novel and then not reading it after a few weeks) since a lot can happen in between two weeks of no episodes. I recently caught up and it's no surprise that everything about this series has me in a mess. I'm a wreckage of tears even in moments that are considered happy. Heol. I loved everything about this drama for a solid 4-6 weeks but I noticed how it was too action-packed. Don't get me wrong, the action scenes were executed impressively and the story is still fresh but its tendency to shift gears and drive somewhere else when it was just beginning to form deeper emotions within me made me walk away. It came down to watching this or Miss Hammurabi and I chose the latter, but who knows, I might come back to this when I have more free time. It's not bad, but I think the writing and the drama's aspirations are better suited to a 2 hour film. A condensed version and movie format would have had me applauding it indefinitely if that were the case. 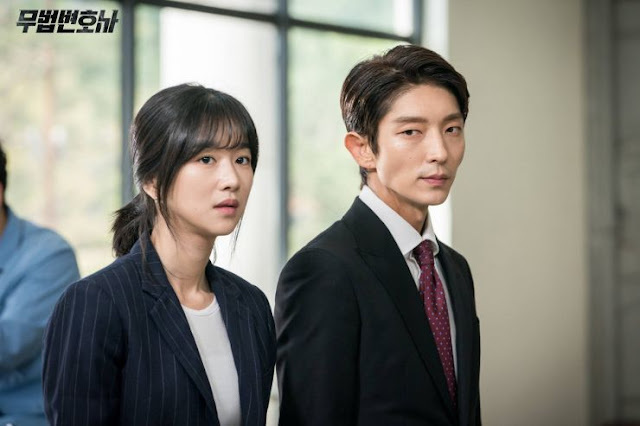 Lee Joon-Gi and Seo Yi-Jin have an undeniable chemistry and presence together though, and they've created a power couple onscreen that are fatally attractive and likeable. I like the cast and think their synergy together is well received but the drama has a tendency to mishandle its material when it comes to themes like matchmaking in contrast to the main love line. There's just something amiss about this show especially with its writing going stale, and I can't really peg it down to one particular thing despite the drama having some glimmering moments of comedy. This is one show that garners mixed feelings from me but for now, I've left it on the shelf until I've heard more positive things to have me coming back, although the likelihood of that is extremely slim. Absolutely adore each of the characters and how they've been portrayed or written but the plot itself has me sighing in agony. The kitchen antics and restaurant war makes things a lot slower even if the breakdown of how dishes are served up are interesting segments. There's too much going on at this point and I find my attention waning the more I watch. I had so much hope for this one but now that another food series has premiered (Let's Eat 3) I'm walking away from this completely without considering the thought of returning. Quirky is good, but too much of it coupled with so many other ideas is simply messy. Note: All other recent dramas I've covered in First Impressions but didn't include in this list are ones I haven't been watching at all. So what have been K-dramas you've picked up and dropped? Or which ones have you tuning in every week, wanting more? As readers, do these types of posts help? If you'd like to see more posts related to K-dramas like this, let us know! 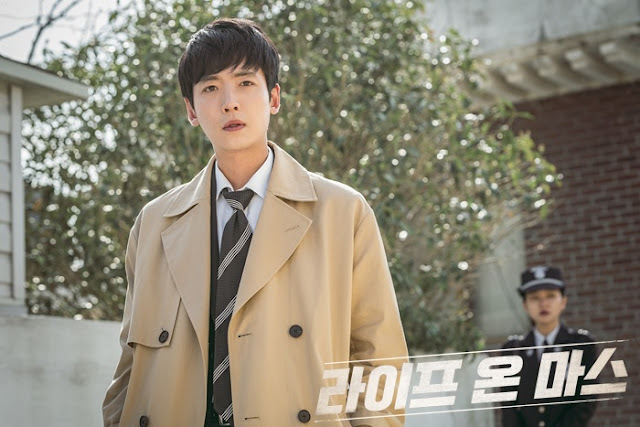 Nice write-up, I’m watching a lot of dramas and also dropped several already too lol Secretary Kim is so hot rn but I put it on hold for others. Don’t know if I should pick it up again. Life on Mars need more love, thanks for mentioning that! You should check out Tunnel too cause it’s also a great drama in the same genre. I also put Miss Hammurabi on hold but I’m tempted to pick it up again after reading your write up lol Come and Hug me also needs more love pls I love the main actors and the child actors. All did a great job but this drama doesn’t receive that much attention, the short episode doesn’t help either. I’m waiting for the male lead in future dramas, this drama truly wants to make you hug them every damn episode! Lawless lawyers started off good with a badass female and fast loveline but then it dragged on towards the end and they did so much in the few beginning eps that the later eps seem less interesting and long. These types of posts def help to bring attention and discussion for dramas that don’t get lots of love. Thanks! What's Wrong With Secretary Kim is a crowd pleasure simply for the fact that it takes tropes and flips them so we get refreshing characters. It's setting a new kind of standard for Korean Rom-Coms so I definitely think you should give it a shot. Life On Mars isn't doing too shabbily in terms of ratings but it could do with more recognition, I agree. Yas! Tunnel and Signal are two of my top dramas which are also crime/time travel shows :D Come and Hug Me was emotionally exhausting, since the audience feels every bit of what the characters are going through and for that, it's done a remarkable job. I hope the leads take on lighter roles next since they bled out a performance of a lifetime, especially Jang Ki-Yong. Thanks so much for sharing that bit of info on Lawless Lawyer because I quit around episode 10 I think, when the revenge plot was getting good so if I go back to it, I'll keep that in mind but I doubt it since K-dramas keep dropping left and right. 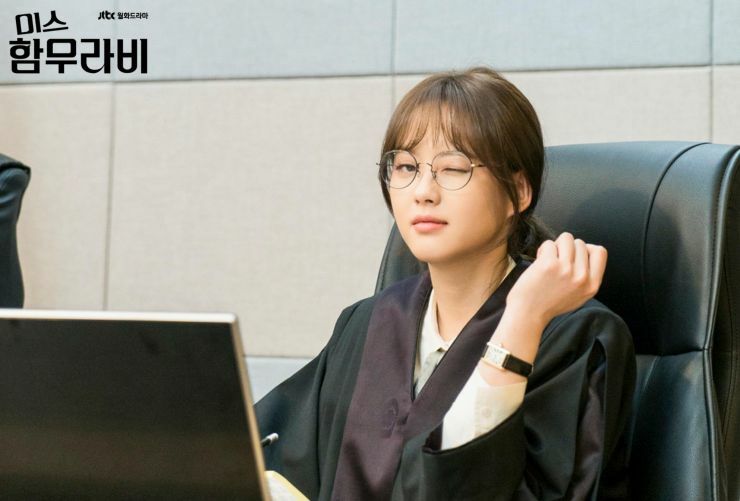 Miss Hammurabi and Come and Hug Me both offer perspective in polarizing ways - one being more realistic while the other is melodramatic but there's truths to be told and illustrated in both. Come and Hug Me really sheds light on the media's romanticization of killers and their families, wielding stories to their liking without considering family members as victims. The drama's writing in regards to that really blew me away considering the times and people's overall lust for violence when it comes to entertainment. I am thrilled Nam Joo-Hyuk turned this down. He's a likeable 'boy-next-door' actor when it comes to light romances but I could never see him take on something so complex where real acting chops are required. Oh yeah the idolizing killers is disgusting but it really makes you realize that there are people like this and how the reporters are vultures themselves. I loved Lawless Lawyers but the later eps are meh, if you need closure you can finish it but I think you can guess the ending already lol Nam Joo-hyuk is bad at acting to be blunt lol he isnt good with emotions. He can do light hearted rom com but for Namoo character, I dont think he can pull it off. The 2 main leads for Come and hug me are perfect, and they were so in sync with the child characters! I haven't enjoyed any drama this year either cdrama or kdrama, ended up dropping all the ones that I tried to watch. I am a few episodes into What is Wrong with Secretary Kim and really liking it so far. I hope it keeps it up. Yeah agreed, Nam Joo-Hyuk does not have the skills for this lol. I even think the child actor for Namoo has more acting abilities than Joo-Hyuk (I don't even hate him but Bride of the Water God did a number on me and wasted my time). That is pretty sad to hear, maybe the second half of the year will be better? For me personally, dramas that usually premiere around October tend to be my favourite going into winter. There's some good projects that plan to drop after the summer ends so you might like those :) and I'm glad to hear you like What's Wrong With Secretary Kim! I cannot believe it is ending this week! Fantastic post, i definitely would love to see more of these kinds of watch lists !!! This is a terrific drama blog by the way, i visit it almost every day for updates. Thankyou !!! I started watching only two k-dramas recently: The mini drama "To Jenny" which was awesome, and the blockbuster "Mr. Sunshine" which I dropped after four episodes. The first was lovely and interesting, the latter, in spite of all the effects and money put into it, was tedious and downright boring. "To Jenny" is such a gem of a mini series! I actually hope to write up on it but stills are scarce so I'm waiting it out till more promotional material becomes available. I have to share your feelings on Mr. Sunshine since I haven't watched it after the 3rd episode and think the 'movie' format its going for lacks something found in dramas. I am still watching Come and Hug Me , I take it slow because it so full of angst. 👍🏾 I loved What’s Wrong with Secretary Kim but I actually was ambivalent about it until episode 3 where I actually started to like it . 😍 Miss Hammurabi was a favorite of mine , I wish everyone would watch it - the stories were of great value . I couldn’t stand episode one of Undateables , so I dropped it on the first episode. Life On Mars was fun and mysterious , plus the main actor is one of my favs - it has a sad undertone especially when I went to read about the British version . Lawless Lawyers was an okay drama , I watched to the end for closure - but it wasn’t all that to be honest .